Should Alberta max out the minimum wage at fifteen bucks? The newly-elected NDP government in Alberta has promised a $15/hour minimum wage. Some business groups say now is not the time, given the oil industry's woes, but economist David Green says when it comes to wages the province should go big or go home. 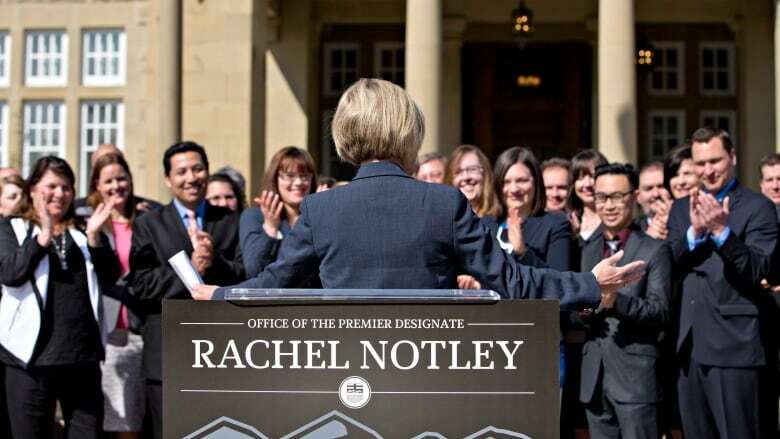 This weekend, Rachel Notley and her NDP MLAs officially take charge in Alberta. Once in power, voters will get a chance to see how many of her campaign promises come true. She has already confirmed that her plan to raise the provincial minimum wage to 15 dollars an hour will be put into motion. Business groups in Alberta say the wage increase will kill jobs and hurt an economy already rattled by falling oil prices, but David Green, economist at the University of British Columbia, says when it comes to raising the minimum wage, governments should go big or go home. Green says that at the most basic level, it's a question of fairness. "Nobody should work full year full time and end up below the poverty line at the end of the year. And right now at the minimum wage in any province that's true for a single individual in a big city. It's true even if we paid two dollars above the minimum wage." Green says that the trouble with incremental increases to the minimum wage is that they tend to benefit the wrong people. He says that most of the people working at the minimum wage are teens living at home, and not in poverty. The people of most concern are low income adults are making slightly more than minimum wage. Green admits that a dramatic increase to the minimum wage will require adjustment across the economy. Some of that may come in the form of increased prices to consumers. But Green says that the research shows that concern that minimum wage increasese will result in significant unemployment is misplaced. Is it time to ban the bag? Should you get to vote if you don't have your citizenship?